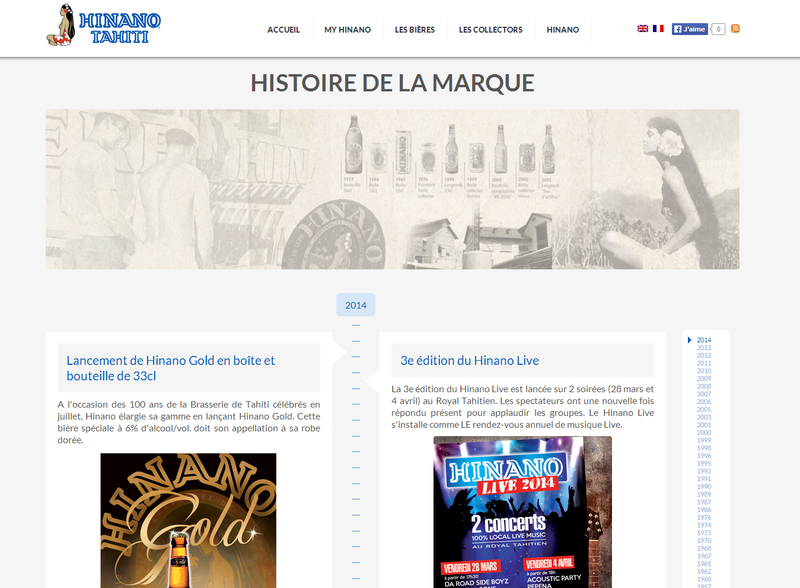 Welcome to Hinano’s new website! 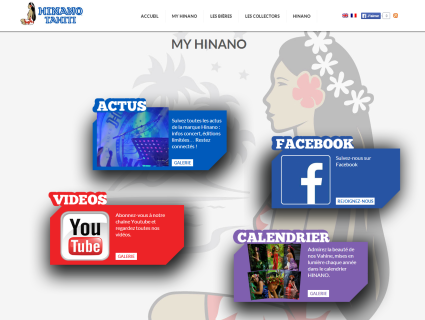 Launched in 2001, the www.hinano.com website was one of the first websites created in French Polynesia. Discover today the website’s new version, using web 2.0 technology. We feature a section called « My Hinano », a space dedicated to the brand’s recent news. In this section, you will also have the opportunity to watch our latest YouTube videos, join us on Facebook and download the latest Hinano calendar for free. In the « Our Beers » section, we will introduce you to our 3 types of beers: Blond, Amber and – our last creation – Gold. Also, take the time to discover or re-discover the brand’s special editions since the early 2000s. Last but not least, relive the Hinano saga by browsing through Hinano’s story from its beginnings in 1955. Stay tuned and make sure you leave a comment on ourFacebook page!